Taking place in venues across west Cornwall including an abandoned church, a telecommunications station and a snooker club, the five-month Groundwork programme of international contemporary art is organised by the Cornubian Arts & Science Trust (CAST). 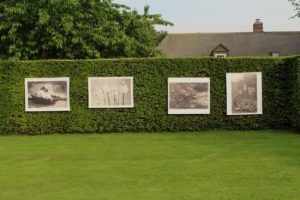 David Trigg discusses art and place with the organisation's influential curator. As a curator, writer, and educator with more than 40 years experience working with contemporary art and artists, Teresa Gleadowe needs little introduction. She’s worked for the British Council and Tate, and was the founding director of the MA in Curating Contemporary Art at the Royal College of Art, which influenced a generation of young curators. Now based in Cornwall, Gleadowe leads the Cornubian Arts & Science Trust (CAST), which she founded in 2012. This summer, CAST launched Groundwork, a five-month season of international contemporary art and events funded by an Ambition for Excellence award from Arts Council England. 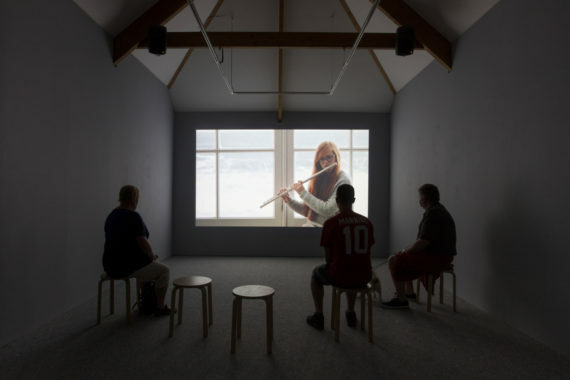 Taking ‘place’ as its theme and comprising art exhibitions, field trips, workshops and talks across west Cornwall, Groundwork’s rolling programme features a stellar line up of artists – Steve McQueen, Christina Mackie, Semiconductor, Janet Cardiff and Francis Alÿs to name but a few – in venues including an abandoned church, a telecommunications station, a snooker club, and CAST’s own headquarters in a former Victorian schoolhouse in Helston. 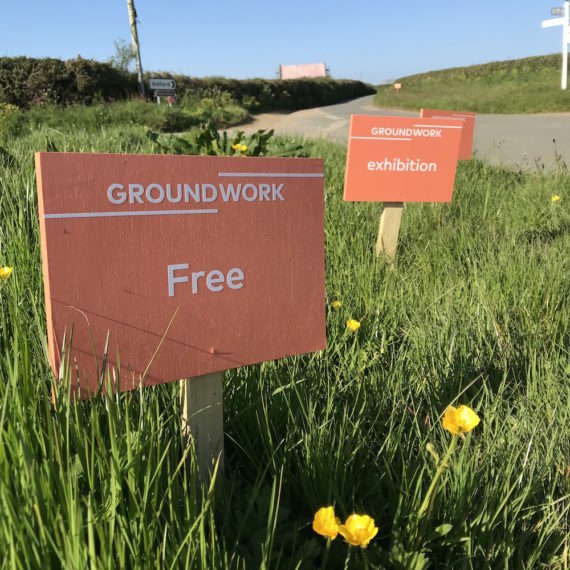 Developed in partnership with Newlyn Art Gallery & The Exchange, Tate St Ives and Kestle Barton, Groundwork is providing a welcome boost to the burgeoning local scene as part of CAST’s wider mission to stimulate and nurture Cornwall’s local art ecology. How did the Groundwork project get started? 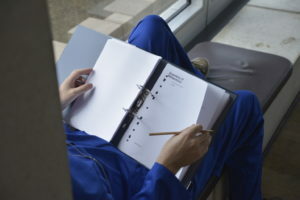 It grew out of a number of earlier projects in Cornwall exploring ideas of place, the first of which was the Falmouth Convention in 2010, which provoked an interesting conversation amongst artists, curators and writers. Then, in 2011, came the first of the Cornwall Workshops – a series of week-long residential workshops held at Kestle Barton [there have been four to date]. In 2012 there was the Penzance Convention, which brought together artists, scientists, curators, and historians to reflect on the theme of extraction, referencing Cornwall’s mining and fishing industries as well as the process by which artists draw meaning from history and site. Groundwork needed a lot of time to develop but I wanted very much for people here to have the opportunity to see exceptional work that they might otherwise have to travel some distance to see. What informed your choice of works? 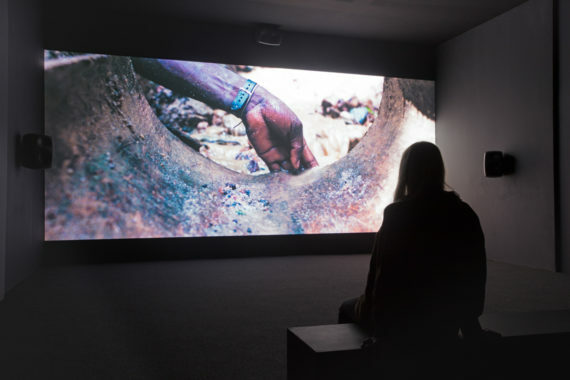 I chose works that I felt would have particular relevance here in Cornwall, that would speak to the place and its history, or its current condition; for instance, Steve McQueen’s Gravesend (2007), given Cornwall’s history of mining. The decision to go mostly for existing work was quite strategic, but all the time I was thinking about work that might speak to the audience who live here, rather than the summer visitor. I think biennials and art festivals sometimes over emphasise the importance of new work. The question of whether a piece has been shown before is not the most important. What the audience wants and needs is to see great work. You also commissioned artists to make new works, could you say more about this? Like all curators, there are artists I watch and feel passionately about; one of those was Manon de Boer, whose work I find incredibly sensitive and responsive. My first thought was to invite her to visit the International Musicians Seminar at Prussia Cove. This didn’t lead directly to Manon’s piece, but may have fed into her thinking for the final work, in which three young music students from Helston Community College experiment with sound and rhythm, completely absorbed in their own activity. The other artists we worked directly with were Semiconductor. In that case the brief was a little different because I was keen that we should try to do something at Goonhilly Earth Station, which is an extraordinary site on the Lizard Peninsula, with its iconic telecommunication dishes. It’s a site that artists are fascinated by and because of Semiconductor’s experience of working on the cusp of art and science I thought they might be particularly well equipped to respond to it. And what about Steve Rowell? I’ve been working with Steve Rowell since 2010, when we approached him to organise a field trip, knowing of his involvement with the Center for Land Use Interpretation. As part of the Falmouth Convention he led a meticulously researched trip, which involved visiting sites associated with the history of telecommunications, including Goonhilly. Since then he has continued to make photographs of telecommunication sites, not just in the UK but also in the US and Canada, so we wanted to use this opportunity to bring that body of work to Cornwall. 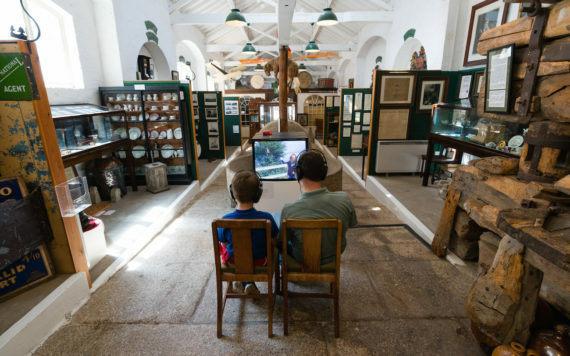 His photographic installation Points of Presence (2018) is being shown at Porthcurno’s Telegraph Museum. Groundwork is unconventional in several ways, not least that the programme is staggered. Only locals or committed visitors would likely see everything. What was the thinking behind this? It wasn’t how we initially conceived it, it evolved pragmatically. The most difficult challenge for us was finding venues. For instance, right from the beginning we wanted to show Janet Cardiff’s Forty Part Motet (2001), an extraordinarily beautiful work. But we had very great difficulty finding a place in which to show it and when our partners, Newlyn Art Gallery & The Exchange, finally found Richmond Chapel in Penzance and secured permission from the owner, we had to accept that it would open a bit later. Also, we’re a very small team, so by rolling a programme out over time we could use our resources to produce more. For instance, over the weekend of the summer solstice we were able to support a new dance commission by Rosemary Lee, who collaborated with 30 women dancers to develop a work for Par Beach, near St. Austell. What was the thinking behind including field trips in the Groundwork programme? Field trips were a key ingredient of the Falmouth Convention. We asked artists to lead a number of field trips in the local area. Some were quite elaborate and involved explorations of different terrains, sites and histories in Cornwall. We included them in Groundwork because we believe they have the potential to change people’s perception and understanding of place. 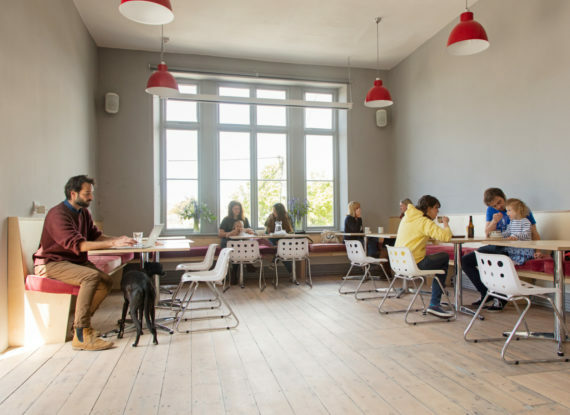 The CAST building in Helston provides studio space, a café, and is currently being used as an exhibition venue. Do you plan to programme more events here after Groundwork? We’ve actually been programming it quite intensively, prior to Groundwork, and that will continue afterwards. CAST is more than a building with studios behind closed doors, it’s a dynamic social space. We’ve been doing regular screenings of artists’ films there and artists’ talks as well. We’ve also been exploring scientific subjects; we’ve had presentations on mining history and last Christmas David Batchelor and physicist Roy Sambles gave a combined lecture about light and colour. So the public programme is the core around which CAST has developed. And what do you have planned for the future? The last phase of the Groundwork programme, which runs until the end of September, will feature two new commissions by artists based in Cornwall. Naomi Frears is developing a project involving Luke Vibert’s music; it will be held in a large car park, the location of which is still being determined. We’re also working with Abigail Reynolds on a project involving the St Keverne Band. This will be a music event at Tremayne Quay on the upper reaches of the Helford River; the band will play on the quay and the audience will be invited to come by boat. I hope there will be many more projects coming out of Groundwork, there are certainly artists we’re still talking to in the hope that something will grow. In essence that’s what this is all about: a dialogue between the artist community here in Cornwall and what’s happening elsewhere. 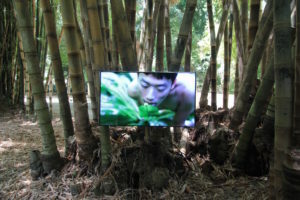 International Report: Manifesta 12, Palermo – ‘cultivating coexistence’ but who’s doing the gardening?